UPDATE 1/17/17: Some of our guests have asked whether the Main Street Electrical Parade Premiere party will still be held in the event of rain. If the parade performance on Jan. 19 is cancelled because of the weather, don’t worry – we’ll have you covered. All guests in attendance who purchased event tickets can receive a complimentary one-day, one-park ticket so they can return on another date to see the popular nighttime spectacular*. Click here for more information. 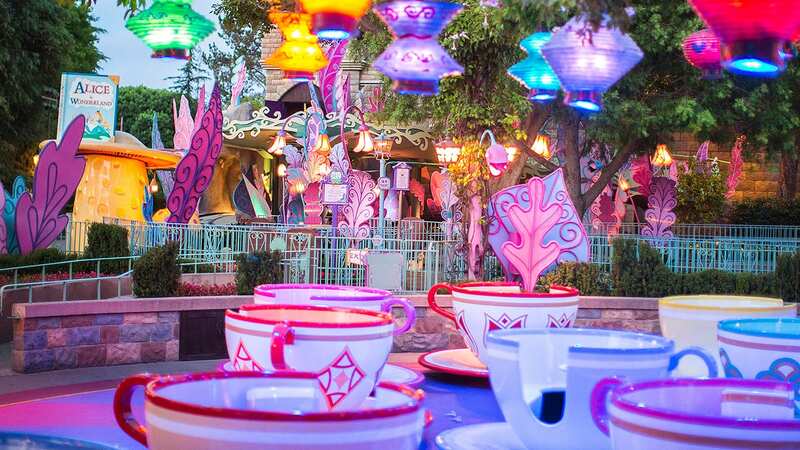 The party will go on – rain or shine – and there will be so much fun to have during this limited-capacity event, like the chance to ride some of your favorite Disneyland park attractions over and over throughout the night. There is still time to purchase tickets for this once-in-a-lifetime party to celebrate the return of the Main Street Electrical Parade! Click here for ticket information. *Complimentary tickets will be available only upon the cancellation of the parade performance on January 19, 2017. Guests must be present at the event to obtain a complimentary ticket. Consideration or tickets will not be distributed upon the change or cancellation of any other event elements or activities. 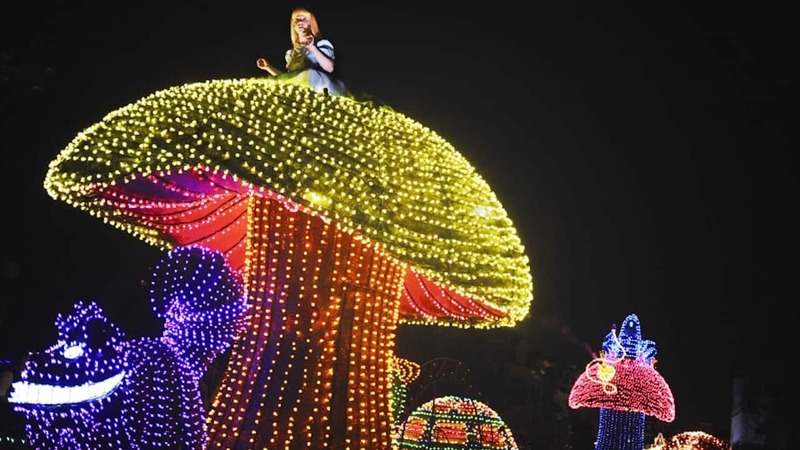 Complimentary tickets must be redeemed at Disneyland Park to view the Main Street Electrical Parade. If complimentary tickets are redeemed at Disney California Adventure Park or on another day when the parade is not scheduled or its showing is cancelled, no further tickets or consideration will be offered. Complimentary tickets may not be sold, redeemed for cash or used for upgrades and are subject to other restrictions. The Main Street Electrical Parade returns to the place it began for a limited engagement beginning Jan. 20, and you can be among the very first in decades to see this iconic parade light up Disneyland park during a special after-hours premiere event on Jan. 19! There are many reasons to attend this exciting event – and here just five of them! Exclusive access to Disneyland park – Tickets for this event are extremely limited, so you will be among an exclusive group of guests to enjoy most Disneyland park attractions and select restaurants. See the parade and then spend the rest of the night riding some of your favorites over and over! Take photos with the floats – Ever wished you could walk right up and take your photo next to one of the parade floats? At this premiere event, you can! Dance the night away – Party like it’s 1972 during a special 70s dance party at Tomorrowland Terrace! Complimentary parking – Premiere event ticket holders will enjoy complimentary parking at Mickey & Friends parking structure after 6 p.m.
First! – Did I mention you will be among the first guests to see the Main Street Electrical Parade return home to Disneyland park? Well, you will. Tickets are on sale now, so get yours today! Click here for event information. I agree with the reserved seating area for another night. As an annual pass holder, a 1 day ticket is pretty much worthless. Thank you for address the little black rain cloud! Traveling from Seattle tomorrow to attend the event and excited about all of it! Here’s to a moonlit night with the Electric Parade coming down Main Street! What about those who are passholders? They don’t need the free ticket, but should be offered something of equal value. Will the show continue on to run after event and if so when will it start without a ticket to the private event? If the parade is cancelled due to rain, will the complimentary return tickets include parking the same as the tickets for Thursday night? As an annual passholder, I don’t need a park ticket to come back another day. I’d rather have the option of access to the reserved viewing area on another day. I don’t want to come back and sit for 3 hours to get a good viewing spot. I completely understand that the Parade can’t run In the rain. Please consider alternatives for annual passholders. Thank you! We have no block out dates on our passes. If the parade is cancelled, what good is a free ticket? Nice to see it back in California although I prefer Dreamlights in Tokyo ever since I’ve seen it on YouTube and hope to see Dreamlights in person someday when I finally go to Tokyo Disneyland. Erin – what consideration will be given to passholders if the parade is cancelled? For those with higher level AP’s a free ticket isn’t really comparable consideration, particularly if it is non transferable. Will AP’s have the option of a gift card for the price of the ticket instead? How about if you are an annual pass holder will something else be given to pass holders or will everyone get an one day one park ticket? I was looking at the Q and A but could not find the answer. Will pictures with the floats still be available even if it’s raining? I hope so cause I’m really excited for that opportunity. We have tickets and are hearing that it’s suppose to rain. Will the parade continue in the rain? Awesome we got tickets to the event! and it is my birthday! i still think us APs should have some type of juicy discount to this event :/ it doesn’t matter anymore anyway, we have a full day visit planned for the 20th…. So excited! Have tickets for my 8yr old grandson and myself! The pictures of him with some of the floats will be worth the ticket price alone. A fitting finale to our trip to Disneyland! It’s cool that the Main Street Electrical parade is returning to Disneyland for a while. But I still really hope that Paint the Night will come back after that. I’m so excited Erin. We have our tickets. During an AP Party years and years ago I was able to sit in Elliott and talk to the driver of the float. I’m beyond excited. I’m so thrilled the parade is coming back. Hi..!! Why you removed this parade..?? Can you please bring it back to Magic Kingdom….please, please..! !